“Red Letter Christianity” is the name of a nonpartisan political/religious movement that aims to see the red letters of the Bible (the words attributed to Jesus) translated into social policy. Red Letter Christians align themselves with Jesus’s platform, committing themselves to the causes he advocated for, and even though they are theologically evangelical, they resist the term “evangelical” because of the negative stereotype it conjures of anti-gay, anti-feminist, anti-environmentalist, pro-war, pro-capital punishment Republicans. At the forefront of this movement is Tony Campolo, professor emeritus of sociology at Eastern University and founder of redletterchristians.org. Representing the younger generation is Shane Claiborne, founder and creative director of The Simple Way, a “new monastic” community in inner-city Philadelphia that practices renewal in a variety of imaginative ways. Together these two guys wrote a book called Red Letter Revolution: What If Jesus Really Meant What He Said?, released this Tuesday by Thomas Nelson. The subtitle’s provocation is this: to compel us to imagine what the world would look like if Christians would only take Jesus more seriously—that is, more literally, and embracing all of what he had to say, not just the easy or convenient parts. Red Letter Revolution challenges us to consider the breadth of Jesus’s concern for his world, and especially for “the least of these,” and the ways his teachings might inform the way we engage with the individuals and institutions that surround us. The movement toward a purer, more bare-bones Christianity, one that looks more like Jesus, has been happening periodically since early church history, when Constantine first took control of the church and moved it far away from its roots, and Christians reacted in counterforce to bring it back. Every age has had its Christian reformers, working both inside and outside the church to promote the biblical values of life, liberty, and love. 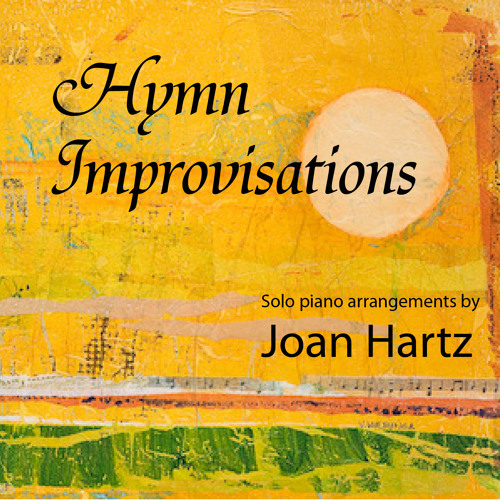 Red Letter Revolution tips its hat to this long tradition of holy agitation. Why single out the red letters? some people ask. If you believe that all of Scripture is divinely inspired, then why elevate the red letters over the black letters? Tony and Shane unequivocally affirm the God-breathed authority of the sixty-six-book canon. But they believe that the revelation given to us in Jesus is something unique. The incarnation of Christ was the climax of history, they say, and the ultimate fulfillment of Jewish law—all of Scripture points toward him. And his words, recorded in the four Gospels, provide the lens through which Christians are to look at the world. If we want to know the heart of God, we can discern it in the words of Jesus, because Jesus is God, with skin on; we can’t do the same with the other biblical speakers, at least not as straightforwardly. Fortunately, you don’t have to like the term (I don’t) to like the book. Red Letter Revolution is an inter-generational dialogue on the church and politics and how the two should interact. It has a lot to say on issues like poverty, immigration, the Middle East, national debt, and the environment, but it also talks a lot about the Christian tradition and how we can resurrect its most beautiful parts. Below are some of the book’s main ideas. I haven’t resolved them all in my mind, but I appreciate how the authors got me thinking more about them. There are logical objections to all of these verses—“but I want to protect myself!”, “I don’t want people to just walk all over me!”, “I want to provide for my family!”, “how do I know he won’t use my money to buy drugs?”, “it’s my right!”—but again, Jesus doesn’t ask us to act logically, but faithfully. He calls us to live an alternative lifestyle that, to the world, looks ridiculous. It’s a divine ethic, and if it offends our sense of right, our sense of justice, it’s probably because that sense of ours is not shaped by grace as it should be. The challenge here is: Be more reckless. In the name of Christ, who recklessly gave of himself, and is still giving. Jesus repeatedly challenged people’s notions of who’s in and who’s out in God’s family and seemed to emphasize orthopraxy (right practice) over orthodoxy (right belief). Some evangelicals are obsessed with declaring who is going to heaven and who is not, based on the rigid theologies they have developed. But a creed alone does not a Christian make. In Jesus’s parable of the sheep and the goats (Matthew 25:31-46), the ones who enter into eternal life are not those who have said yes to a list of doctrines, but those who fed the hungry, clothed the naked, visited prisoners, and cared for the sick. The Parable of the Good Shepherd Separating the Sheep from the Goats, from Scenes from the Life of Christ, sixth century. Mosaic, Sant’Apollinare Nuovo, Ravenna, Italy. Tony and Shane declare that it is only through Jesus that man can know God (John 14:6; Acts 4:12), but they also point out that Jesus may be at work in people of other faiths in ways that we cannot see. Over the past several years, I have become a lot more humble about this issue (though I still don’t buy the argument that some people may have a relationship with Jesus and not know it). Like Tony and Shane, I’ve decided that I’m going to leave that all for God to work out, and in the meantime, I’m going to keep inviting people to know Jesus—to read his Word, to cultivate intimacy with him, to taste the fruit of his Spirit, and to be a part of his work on earth. Christians should be known more for what they’re for, not for what they’re against. Sadly, a recent Barna Group study showed that the number one perception of Christians in the U.S. among young non-Christians is that Christians are anti-gay. That’s not what people thought of when they met Jesus. He was against a lot of things, but more important is what he was for—he was for people. And if Christians aren’t likewise known for being for people—for their welfare in both a spiritual and material sense—then that means we’ve got an image crisis on our hands. “The church is a whore, but she’s my mother.”—St. Augustine. I really appreciate how Shane and Tony acknowledge the church’s faults but love her anyway, for it is the church who birthed them into the new creation that they are. Although she has many times been unfaithful to her husband, Christ, we still have to respect her by virtue of our relationship to her, and we have to remember the good she has done—she has given us God’s written Word, for example, and preserved the faith down through the centuries. So many churched people these days are jumping ship, unwilling to deal with all the problems that ail our mother. But Shane writes, “Instead of complaining about the church we’ve experienced, we are working on becoming the church that we dream of” (22). 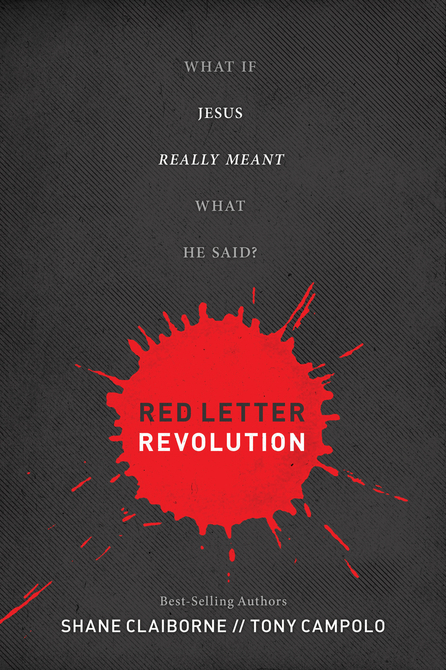 Red Letter Revolution strikes a perfect balance between critique and celebration of the church—exposing the dirt as well as the gems. My primary disappointment with this book is that a lot of the material is recycled from the authors’ previous publications. I had expected this might be the case but hoped I would be proven wrong. It’s full of a lot of the same one-liners and anecdotes that Shane and Tony repeat every time they speak in public or publish a new book or contribute as guest writers to online media. There were a few new stories but not really any new insights or ideas. I’d say that less than half (a third, even?) of the book’s content is new. Furthermore, the book lacks structure; there’s no organizing principle. It’s divided into three vaguely titled parts—Red Letter Theology, Red Letter Living, and Red Letter World—in which there is a lot of overlap and redundancy. For the theology section, I had hoped for more actual theology. The chapters in that section are “On History,” “On Community,” “On the Church,” “On Liturgy,” “On Saints,” “On Hell,” “On Islam,” and “On Economics.” (A smattering.) Although I enjoyed these chapters, I would have liked to have seen more topical variety—for example, “On the Atonement,” “On the Trinity,” “On Providence,” “On Miracles,” “On Prayer.” I’m not asking for a systematic theology textbook by any means, but it would have been nice to hear some back-and-forth on these topics. I think that the disorganized nature of the book has to do with its format, which is a dialogue. Conversations meander and don’t usually follow a trajectory; nor does this book. I can’t decide whether I like the format or not. Because Shane and Tony almost always agree with each other, I’m not sure that it is necessarily effective. Lastly, I’m a little wary of the term “Red Letter Christian” and its implications. I wouldn’t necessarily say that Jesus’s words are more important than the rest of the words in Scripture (as Tony emphatically states), because I believe that Scripture should be taken as a whole. Also, my husband brought up the point that just because Jesus didn’t call out certain sins doesn’t mean that they weren’t important to him—only that he was targeting an audience: the Jews. Shane and Tony believe, however, that the worst sins of all in God’s eyes are hypocrisy, self-righteousness, and judgmentalism, because these are the sins that Jesus preached against the most. True, but were he ministering to a different crowd, the list would have been different. They also infer that because Jesus never commented on homosexuality, he must not have been concerned about it. I can kind of see their reasoning—if it was a priority, a primary teaching, he would have spoken about it often and emphatically—but it’s also important that we not jump to the conclusion that just because he failed to discuss certain Jewish laws it means that he rejected them; it could very well mean that he silently affirmed them, since their truth was already assumed. Despite some misgivings, I can understand what the Red Letter movement is getting at: Jesus ushered in a new covenant to supersede (fulfill?) the old, and therefore his words hold the higher power. God’s gospel is revealed most explicitly in the red letters, and for that reason they tend to speak to people more than some of the other portions of Scripture. Nevertheless, reading this book would not be a waste. I found it, as always, inspiring to hear the authors’ stories. They are dreamers and doers both, lovers of God and people. Their writing broadens my gospel vision and challenges me to be more engaged with the world, as Christ was, speaking his words to people, and being his body. This entry was posted in Politics and tagged orthodoxy vs. orthopraxy, red letter christians, shane claiborne, the church is a whore, tony campolo. Bookmark the permalink.